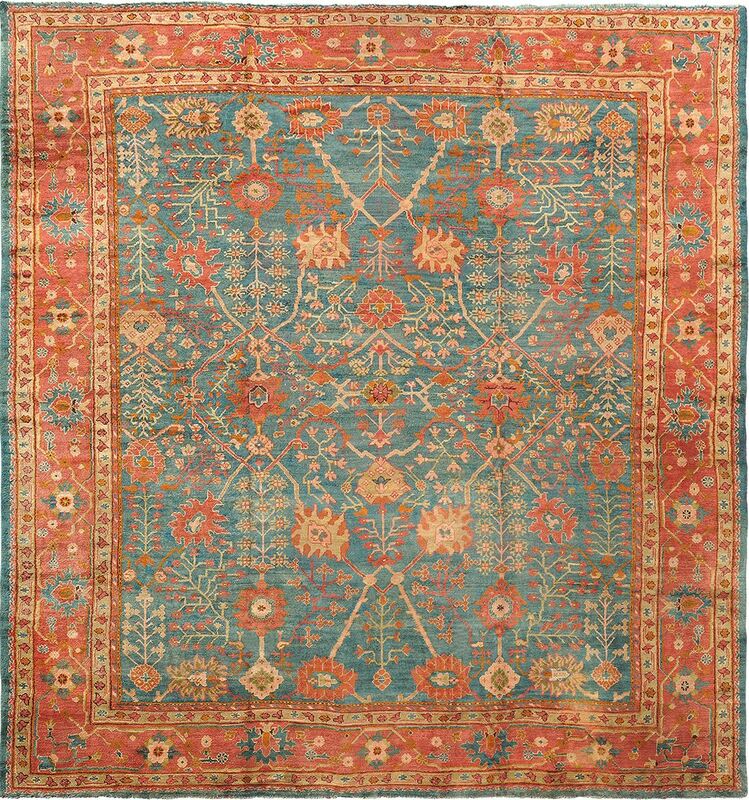 Size: 15' 7" x 16' 7"
Finely woven on a teal blue background with an all over pattern of stylised geometric and floral palmettes, connected by angular elements and flowering vine. Enclosed by multiple guard borders and a primary rust border of stylised elements and geometric blossoms, all in variating shades of teal blue, rust, shrimp, tan, olive, oxblood, pink, tobacco and pumpkin. 15' 7" x 16' 7"